KLC Financial provides leasing and loans for an array of industries in Minnesota. They build strong financial relationships through integrity, depth of knowledge, and speed. KLC is a premier financial institution based out of Minnetonka, MN. They’ve built their business on creatively building flexible financial solutions for business owners nationwide. KLC is a company with a legacy of experience and tenacious success within the leasing and finance industry. They came to Blindspot-Advisors with a need to reflect their specific skill set and branding, and we delivered. KLC Financing is Minnesota’s leading independent financing company providing leases and loans to businesses large and small and in varying industries. Blindspot-Advisors also works with a multitude of companies servicing every sector of our economy. 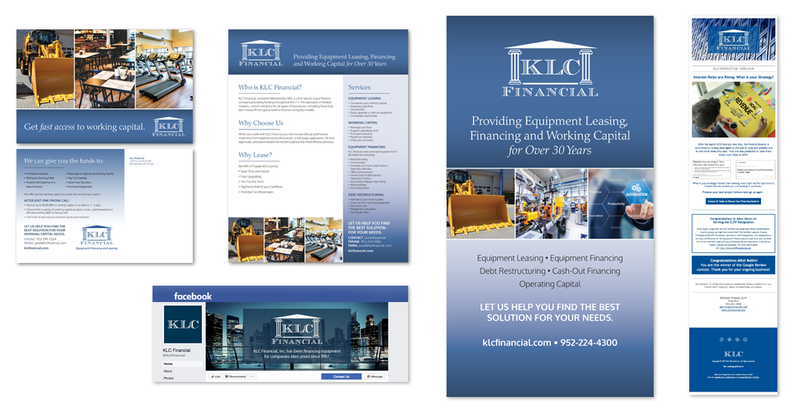 We partnered with KLC to develop their digital marketing plan including their website needs, social media accounts, and SEO integration. 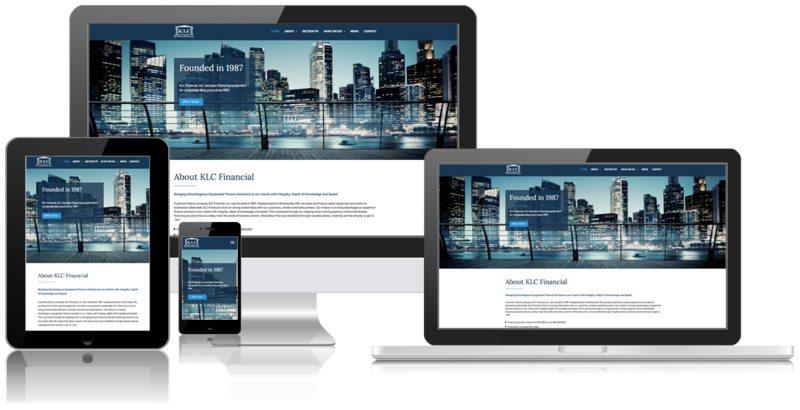 KLC Financial and Blindspot-Advisors: bringing you new tools to help build your business.